Thriftyink offers affordable Canon genuine ink cartridges. 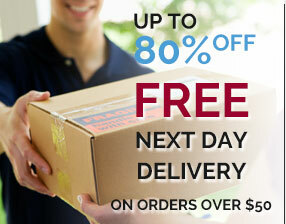 We have free next business day delivery for orders over $50 and money back guarantee. Canon is one of the leading brands we stock. Their genuine ink cartridges have proven to be durable, produce an extensive range of colours and print perfectly. When choosing a genuine print cartridge, you are going to want to think about the printer you have as well as the capacity and capabilities of your cartridge. If you have a Canon you must decide on whether you want to buy a compatible Canon printer ink cartridge or a genuine one. 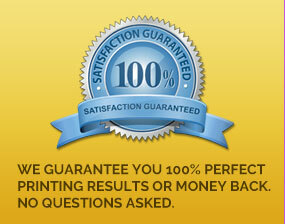 Canon manufacture excellent quality printing products, so we guarantee they will give you the result you desire. Genuine Canon cartridges will increase the quality of your photos as the ink is oil based and runs a high gamut of colour. This will lead to less reprints and less repurchasing. Our compatible ink cartridges are manufactured to exacting specifications and will give you fantastic printing results. Decent quality demands a decent printer. Our team know printing so if you need to find out which printer will harness the right print ink cartridge for you, we can facilitate the right information to sort out what unit will deliver the best results. Does your Canon need some ammunition? Call Thiftyink on 1300 652 570 1300 652 570 and increase your arsenal with a genuine Canon printer ink cartridge.